You are here: Home / Featured / The Amazing Health Benefits of Giving! The Amazing Health Benefits of Giving! Giving is a beautiful pathway to great health! With Thanksgiving around the corner I thought it would be great to discuss the amazing health benefits of Giving. Altruism, or Giving, is defined as:” the belief in or practice of selfless concern for the well-being of others”. We all Give in many ways. We Give our time by volunteering, we Give our resources by donating to charities, we Give our thanks in prayer and we Give our support and compassion by listening and caring. All of these ways we “Give” are beautiful and selfless in their very nature and that is so valuable in and of itself. 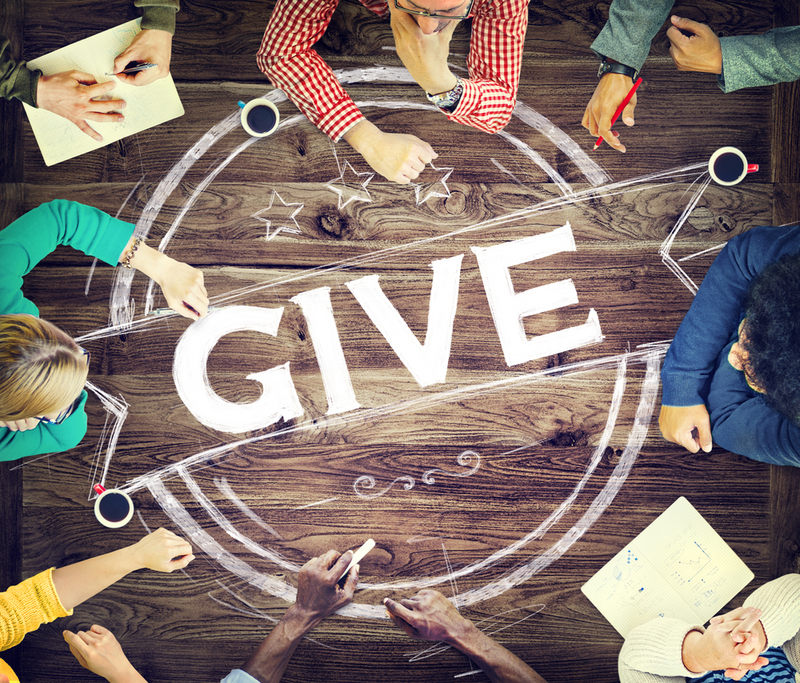 However, there is recent scientific evidence that the very selfless act of Giving is incredibly beneficial not only to the recipients of our generosity but literally boosts our immune system as well! It makes sense that if after a traumatic event in our lives we receive emotional support from friends and family it would be extremely beneficial for our health. But newer research shows that it is the act of GIVING support, not just receiving it, that can improve our health and longevity even more! Much of this process is due to the activation of “the caregiving system” inside of all human beings says Michael Poulin, Ph.D., a social psychologist at the University at Buffalo, SUNY. “When you help those you care about-whether family members or friends or all people-it releases oxytocin-which is a potent protector against stress.” His research also showed that there is a 30% increased risk of death in older adults in the five years following a very stressful event i.e. death of a spouse or partner, job loss, burglary, or financial difficulties. The one cure to avoid this is Helping others in even the smallest ways like running errands, helping with children, or providing transportation. When Giving and Helping others was part of the aftermath of a traumatic event- the people who “Gave” and helped others had relatively no increase of illness or death due to their traumatic event. Although Dr. Poulin’s study was geared toward older people another study done by Steven Cole, Ph.D, a professor of medicine at the David Geffen School of Medicine at UCLA found that people who expect good things in life and that are positive and loving are less likely to develop heart disease. There are many other extensive studies that found a similar link between an optimistic mind and a healthy heart. Whether in Traditional Chinese Medicine or Traditional Feng Shui there is a fundamental and symbiotic relationship between emotions, which come directly from our thoughts, and health. So when I come across brilliant research that underscores this premise I am compelled to share it! This Thanksgiving let us Give Thanks for all the blessings in our lives. Let us also also be grateful for all the beautiful opportunities to help and support and GIVE to others whenever we can! In our Traditional Feng Shui training we were always told: ” Give, Give and then Give some more”. We all, as human beings, do this from our heart and soul without expectation of anything in return. But the Universe is so blessed and perfect and knows better…that we should be blessed and be given the gift of health at the same time! Happy Thanksgiving and Happy Giving to all of you!